9. Major on the minors. I spend a great deal of time praying about peoples’ physical needs, but often forget what is most important– their spiritual health. The Apostle Paul prayed that people would grow in maturity in Christ. He prayed they would come to know the fullness of God’s love. I neglect these prayers, all too often. 8. Not praying for our country and our leaders. I don’t spend a lot of time moaning and groaning about government, but I certainly have no right opening my big mouth if I am not praying. I should respond to every newscast that disappoints, frustrates or annoys me with prayer. Better yet, this should be a standard discipline rather than a reaction. 7. Enter into prayer with too little intention. Do you ever go to the grocery store without a list and come out with a bunch of stuff you didn’t need and simultaneously forget what you needed most? If not, then please call me and become my personal shopper. I often times have that experience of prayer; hence, the failure to intercede for folks when I said I would, prayer for our nation, etc. Pray lists help prevent this from happening. 5. 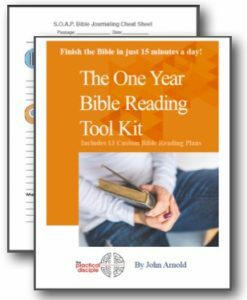 Failure to plan for changed behavior after confessing a sin. In our worship, we have a time for silent prayers of confession. I find myself too often confessing the same things week to week, but fail to sit in prayer and commit to a different course of action. I ask for forgiveness, but also need to really reflect and figure out how I am going to avoid sitting there a week later praying the same thing. I need to offer that commitment to God in prayer. 4. Prayer narcolepsy. Okay, this pitfall is not totally bad. Someone once told me that when you fall asleep while praying, it is like a child falling asleep in the arms of a parent. That’s a great image. Unfortunately, my prayer narcolepsy is a symptom of the fatigue mentioned above, which is a result of living out of balance. Falling asleep while praying devours my time with God. Imagine your spouse falling asleep every time they spoke to you. It would be tough to build a relationship. 3. Both my attention and intention is on something other than God. A Jewish Rabbi named Abraham Heschel once said something to the effect of, “Do not forget that the object of prayer is God.” If I am honest with myself sometimes I pray because I want to check it off my to do list. Sometimes prayer is all about me and my self-development. 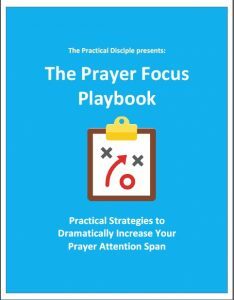 What would it mean for your prayer to be fully focused on God? I am finding that the best antidote is heaps of praise. 2. Spend too little time listening. This awareness came home to me a couple of years ago when I realized that I often would ask for guidance on something, but then did not pause to listen. God is constantly speaking, but are we listening? 1. Believe too little too much. Have you ever punctuated a prayer with words like, “but whatever your will is may that be done.” Did you do it because you fully trusted how God would answer or did you do it because you suspected God would answer the way you hoped. I find that when a miracle is needed, I have my doubts, so I add words like the ones above as an escape clause for my unbelief. I would like to come to a place of saying those words in the spirit of trust and surrender that Jesus had rather than in my spirit of unbelief. I will stop here at 10 before I am completely demoralized about my prayer life. I thought of many other pitfalls. 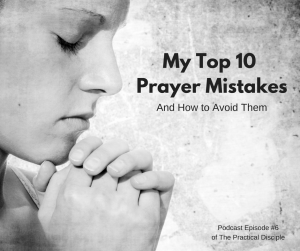 Perhaps, this topic merits a sequel, “10 More Pitfalls of Prayer”. If you have a pet pitfall not in this list please share it via the comments. May God guide your steps around these pits that you might know His presence and power abundantly. And number 5 is too personal to print? @Dennis. Oops! I had ten. I’m not sure where five went to. When I was done proofing this, I decided to reorder a couple of the items because some seemed to naturally fit with one another. I must have inadvertently deleted one in the process and didn’t catch it because I was through proofing. I post #5 later today. Thanks for bringing this to my attention. I’m reluctant to comment on prayer, because I feel my prayer life is so inadequate, In the last few weeks, though, I’ve sensed a change in that prayer life that I feel led to share. For many years, I’ve used a self-composed prayer that I think of as “the”prayer. This is a written prayer that is under constant revision but whose structure and content have remained fairly constant over time. I’ve now begun what I call a daily “prayer diary,” which, while still written, is more a stream-of-consciousness sort of approach, patterned after the ACTS model, beginning usually with the reading of a Psalm. This has given my prayer life a new meaning and urgency and a sense of God’s presence throughout the day which is beginning to cause some profound changes in my thoughts & actions. I find writing prayers helps me to stay focused, otherwise my mind wanders to more mundane concerns after a while. The Practical Disciple has been a great help to me as I work to find a deeper sense of commitment and a richer prayer life. @Jim..I am glad that you didn’t let your reluctance get the better of you. I think most of us feel inadequate to prayer and admitting it helps the rest of us feel not so alone. It’s actually a bit encouraging. Also, I appreciate you sharing the model you use. I am not currently writing many prayers but have numerous times in the past. I too find that writing keeps me focused. I try to typically pray and/or read scripture with a pen in hand. I mostly do this with my to-do list ready, so that I can note things I believe God is nudging me to do. Sometimes the nudge will come as a thought in prayer, or may be an image in my mind of something that needs to be done, or a scripture verse seems to call me to action. Whatever the case may be, having a pen in hand not only keeps me focused but also listening. I think it’s because it physically engages us in the process of prayer. Similarly, I find that speaking prayers out loud helps me stick to it. I like to pray sometimes as I drive. If I don’t say the prayers out loud, then I find I honestly only have an attention span of a handful of minutes. Once again, thank you for sharing and I am so pleased to hear that The Practical Disciple has been a blessing. If there is ever anything I can do to make it better, don’t hesitate to speak up. Thanks. Like I said in another post comment, my pitfall is feeling like I have to be secretive about praying. I have to do it so that NO ONE knows I am doing it. I don’t know why. Makes finding a time to really go through a more intense and intentional experience difficult.